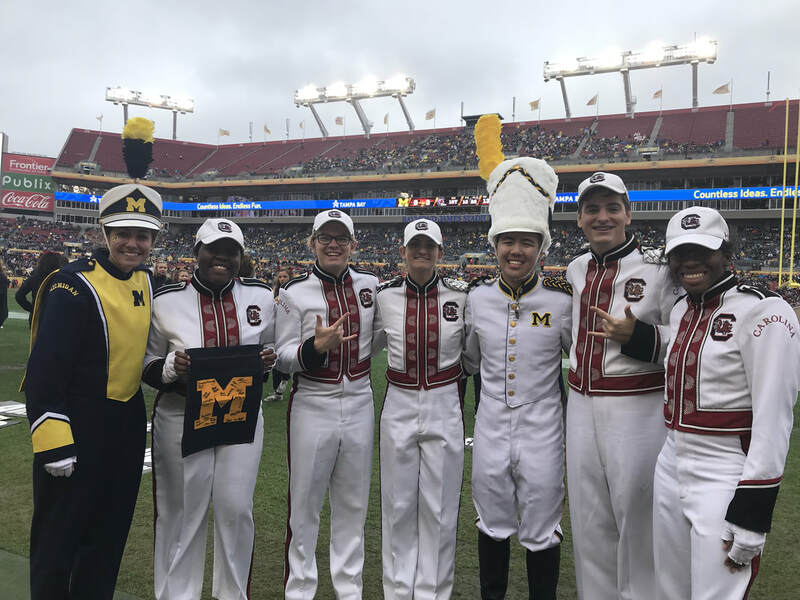 "...that a spirit of BROTHERHOOD is enhanced by the participation in a band program..."
Brothers of Zeta Chi and the University of Michigan's Lambda Chapter pose for a picture at the 2017 Outback Bowl in Tampa, FL. Pictured are: Kelly Bertoni, Maya Ferguson, Sammie Newcomb, Kevin Zhang, Michael Lindsay, and Alexis Bell. "Brotherhood to me is a word that has no definite meaning. It’s more of a living, breathing thing. No matter how far you go there will always be someone there to meet you and help you along the way. I know that I can go to any place in the world, find a brother, and we would be able to join in a spirit of fellowship. Brotherhood to Kappa Kappa Psi is instilled from the very first moment. A genuine love that one would be hard-pressed to find elsewhere. " "Brotherhood is a bond shared among different people who are motivated to achieve a similar goal. It is a commitment to serve a specific purpose with an obligation to support and encourage those who have been united through a shared experience and a dedication to a mutual set of values." 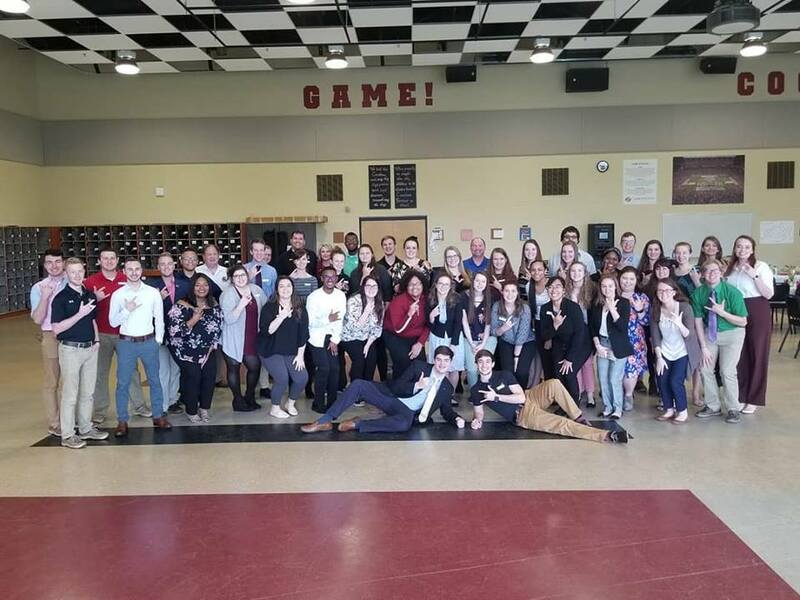 Brothers of Zeta Chi and sisters of Epsilon Alpha host an Alumni Event (March 24, 2018) at the Copenhaver Band Hall. Installation ceremony for our Little Brother chapter, Nu Kappa, at Georgia Southern University. "Brotherhood is rooted in something bigger than us all, but only survives through its practice by each brother. It is a smile from across the room, a hug when you need it, an ear when no one else will listen, a hand to help pull you up and much more. It is built on love, not only for other brothers but for the principle and values you all strive to uphold. Brotherhood means never meeting a stranger because once you become a brother, you are linked together no matter the school, chapter, or state." We believe that brotherhood does not have one definition. It means something different to every brother and it makes our bond that much stronger. Through the good and bad we are always here for one another. We are our brother's keeper and through this we are able to strive for the highest.